Over the years vampires have had a role to play in practically every form of entertainment. From the famed Twilight film franchise to the critically acclaimed Vampire Diaries TV series, blood-sucking vampires have been here, there, and everywhere. Not one to escape the bite of these fiendish creatures of the night, leading online slots creator Betsoft Gaming has leashed Blood Eternal upon players. When it comes to creating a vampire-themed slots game, a developer only really has two directions to head in. They can either create something gimmicky (see Scary Rich) or something horror-based (see Immortal Romance), with Blood Eternal certainly leaning towards the latter. Attempting to send a chill down the spine of slots fans everywhere, is Blood Eternal a gothic and glorious online casino game? Read on to find out if this new Betsoft release will give players a true taste of darkness! Blood Eternal is entering a slots sub-genre that’s packed with games, so for that reason Betsoft have done what they can to separate it from the chasing pack. How they’ve done this – at least through the base game – is by introducing an additional reel. That’s right, this game doesn’t just offer pay both ways functionality, it offers 6 reels instead of the usual 5. This certainly gives the 30 paylines a little extra blood-tingling oomph if you ask us. The paytable blends together generic and gothic themed icons, with the standard J, Q, K, and A propping up the payouts. The high-value symbols in Blood Eternal are much more thematic, as they are made up of crosses, holy water, gargoyles, vials of blood, and the vampires themselves – both in bat and human form. Looking at the base-game, we found it to be slightly different to the norm, which only works to give Blood Eternal a blood-tinged edge. With the reels of Blood Eternal in full flow, there are a number of special symbols that you need to keep your eyes peeled for. First, like with pretty much every other Betsoft game, you’ll have the standard wilds that can easily help you swoop up a winning payline. Substituting for other symbols in the game, these standard wilds are what they are at the end of the day. Both the human and vampire symbols can also function as wild symbols, but have the added extra of being attached to some bumper payouts. That’s not all either, as both of these icons have the power to link together to form a dual symbol. Presenting something a little different, when joined the vampire will sink its teeth into its next victim. After taking this bonus bite, the free spins game will be unlocked. Introducing sticky wilds and plenty of blood splatter, there is something particularly thrilling to the bonus side of Blood Eternal. Betsoft has made some fantastic looking real money online slots games over the years, but Blood Eternal just falls shy of these releases. 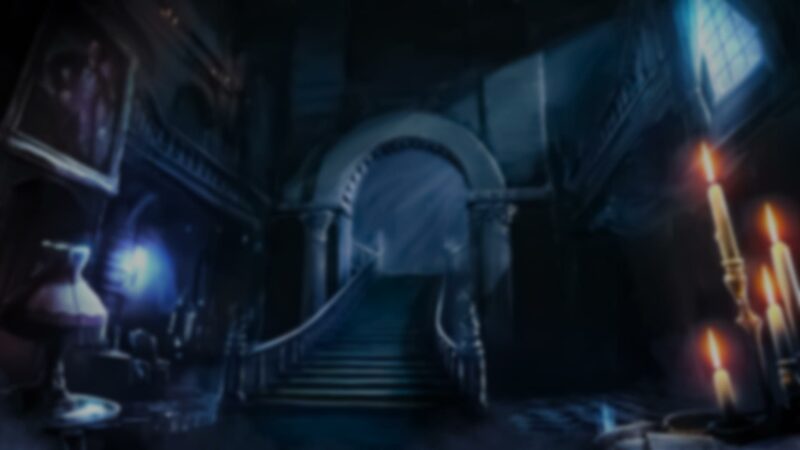 Visually, the game goes all-in with its dark and gothic theme, but it arguably suffers as a result. The symbols and backdrop are overproduced to an extreme, while the text on screen can at times be hard to read. The soundtrack – while fittingly eerie – isn’t actually much better either. Betsoft has attempted to create something in Blood Eternal that’s supposed to be both horror-driven and engaging, but it doesn’t actually hit either of these targets. Considering just how many vampire-themed games are currently on offer these days, the question surrounding Blood Eternal will be where does it fit amongst these titles. Well, it isn’t exactly the best game of this type to the hit the market, but it is far from the worst either. The look and feel of Blood Eternal are what lets it down, but it’s impossible to ignore the fresh base game, fun bonus features, and lofty jackpot. Overall, Blood Eternal is a good game if you look past its flaws, but isn’t going to topple the likes of Immortal Romance and Bloodsuckers anytime soon.